We have put together a Three Light Combo for those of you that want them all. 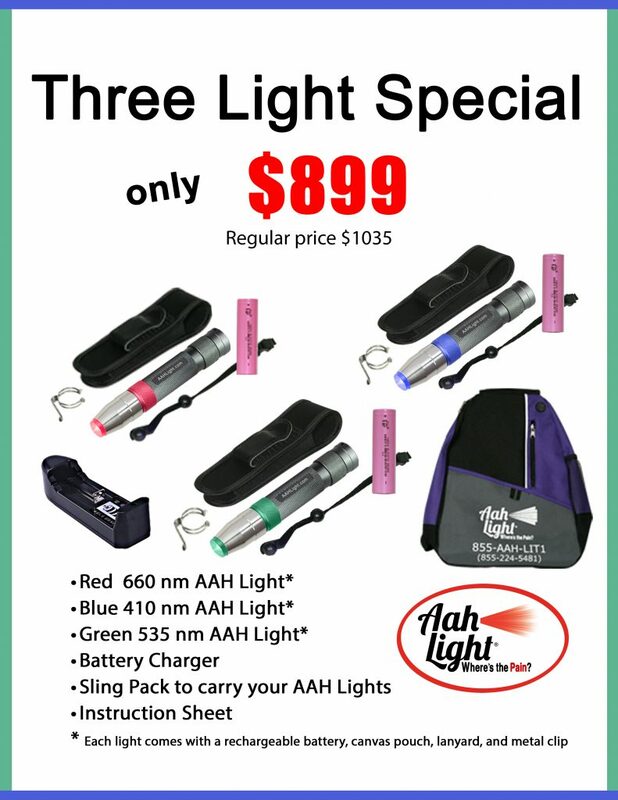 This package includes the Red, Blue and Green AAH Lights. Each light comes with a rechargeable battery, a canvas pouch with a sturdy belt clip, a removable lanyard and a metal clip so you can use our Super Extender. Also included is the battery charger and our handy Sling Pack to carry all your items. Please note this special does not include any reference books, those can be purchased separately for you or your companion animals. « We are seeing Green!